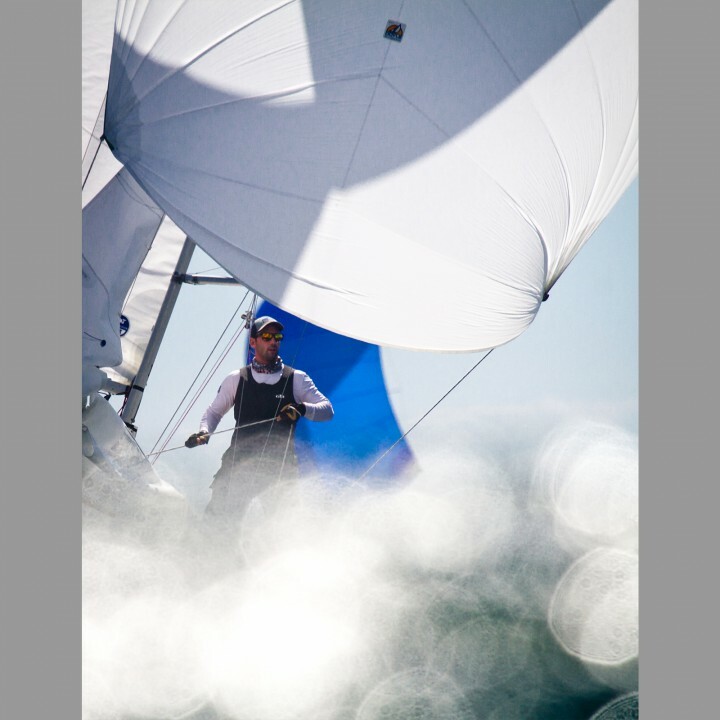 SailingShot Inc was founded a year ago by three sailors with a love for the sport. Driven not only by respect for the athletes but also a desire to bring awareness to the sport, they aim to take the best action shots both on and off the water. Company photographer Luka Bartulovic has been shooting sailing for the last seven years and has built a reputation for being one of the most hard working artists out there. Frequent driver and competitive sailor Anthony Lowther is the go to guy, following course for the best shots while maintaining the respect of course officials. Finally Carol Ferrie can often be found operating the secondary camera and the team Twitter feed. You can bet that she'll make sure the whole world hears about the latest action on one of the teams many media outlets. This group of three can be found out on the water from crack of dawn to last gun, something that has garnered some of them some of best images, along side some of the best friends in the community they love.